What Should I Do If I'm Injured in an Uber Accident? Ride-sharing service Uber is a popular alternative to traditional taxi services. Uber has experienced tremendous growth in its popularity in recent years, offering the benefit of vehicular travel throughout major metropolitan areas at a fraction of the cost of taxicabs. Despite its popularity, however, Uber is not a completely safe travel option. Many of the dangers that are present whenever you get behind the wheel of a car or truck yourself are also present when you elect to use an Uber driver. One of the main differences between a car accident and an Uber accident is that, in the case of the former, you have control over the vehicle before and after the crash. Despite this and other differences, however, the steps you take following a crash are quite similar. If you or a loved one has been injured in an accident involving an Uber, Lyft, or other rideshare service, call Zinda Law Group at (800) 863-5312 for a free consultation with an Uber accident attorney. If you or a loved one is riding in an Uber vehicle and that vehicle is involved in a crash, you should first get yourself and your loved one to a safe location, if possible. There, you should consider how seriously you are injured and determine whether emergency medical services are needed at the scene of the crash. You should summon EMS crews by dialing 9-1-1 if you see significant bleeding, you suspect there are head, neck, or back injuries, or you are not certain as to how seriously individuals are hurt. If possible, try to obtain information about the Uber driver, including that driver’s automobile liability insurance policy--Uber provides secondary auto insurance for its online drivers. If you can safely do so without endangering yourself or others, take photographs of the accident scene, the vehicles involved in the crash, damage to property, and road signs or traffic control signs present that may have contributed to the crash. If you were operating or riding in a vehicle that was hit by an Uber, both the company and its insurer may want to investigate the circumstances surrounding the crash to determine who was at fault. Photographs of the scene of the accident can be helpful, as can the names and contact information for eyewitnesses who arrive on scene, the law enforcement offices who arrive to secure the scene and investigate the crash, and those who provide medical care, in case the individuals’ testimony becomes important later. Try to avoid discussing the crash at the scene; even offhand comments like “I’m sorry” or “I didn’t see the Uber coming” can be used to minimize the fault of other involved parties. This can (in extreme cases) result in a denial of compensation you might otherwise have been able to obtain for yourself and your expenses. 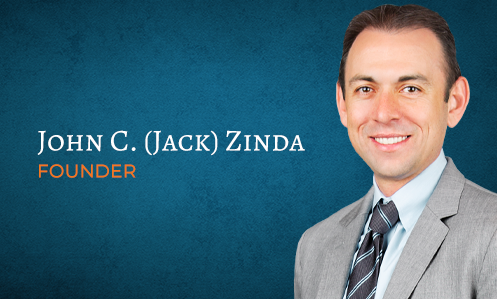 At Zinda Law Group, our personal injury lawyers have helped thousands of crash victims get their lives back on track after a collision. We will fight tirelessly to protect your legal rights and help you seek full compensation for medical bills, property damage, loss of income, pain and suffering, and more. We also work on a contingency fee basis, which means you pay nothing unless we win your case. If you have been hurt by an Uber, Lyft, or other rideshare company, call Zinda Law Group today at (800) 863-5312 for a free consultation with one of our experienced Uber accident lawyers.